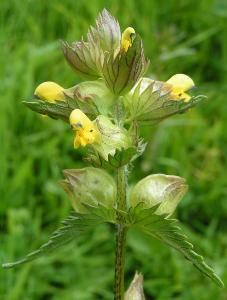 Use yellow rattle to restrict the growth of perennial grasses and allow other native species to compete. Seed should be sown in the Autumn over scarified grass (yellow rattle seed must make contact with the grass root as it is a hemi-parasitic plant). A sowing rate of 1g per square metre of grass is recommended. Sold in four pack sizes; 1g, 10g, 100g and 1 kg.